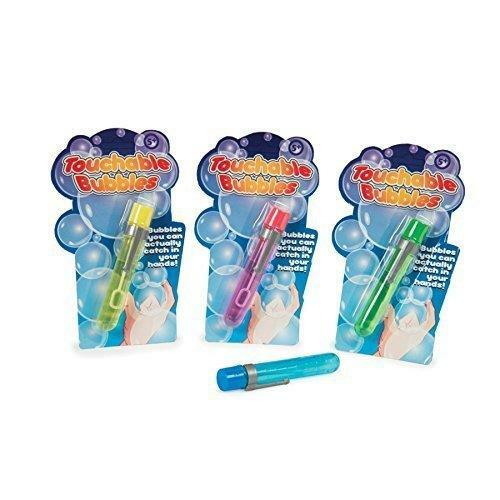 Kids will be entertained for hours with these touchable bubbles. Use the wand to create the bubbles, after a few seconds they can be picked up and joined together without bursting. PLEASE NOTE: Colour will be senr as available.